3540 Ross Street, Stow, NY.| MLS# R1155301 | Chautauqua Lake Real Estate Services. Informed, Professional Real Estate Information Serving Buyers and Sellers Interested in Lake Chautauqua Real Estate and Chautauqua County NY Real Estate. Rick and Julia McMahon Real Estate Advantage Since 1992. 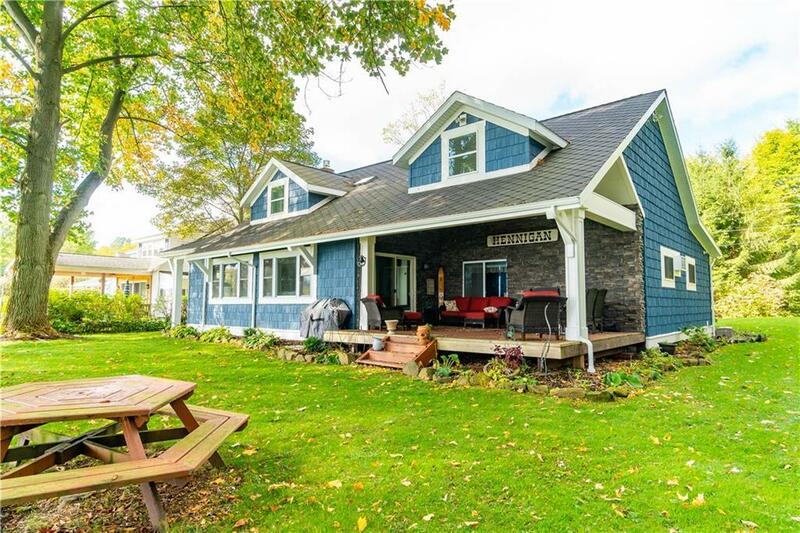 Welcome to Chautauqua Lake life with this recently renovated 5 bedroom 3 1/2 bath home with 168' of lakefront. Among the many features is a new kitchen with marble counters, custom cabinetry and new appliances. The living room has stunning views of the lake through large picture windows, a gas fireplace, a dining area to seat 10, and beautiful unique flooring throughout the first floor. There are 2 master suites on the first floor each with new baths plus another full bath. The second floor has 3 bedrooms and 1/2 bath to accommodate a lot of visitors. The barn has a workshop, room for cars and boat, and a huge game room "man cave". Everything has been done, new kitchen, baths, flooring, roof, windows, electrical, plumbing, siding, porch, covered patio. Please see the video tour. Directions To Property: Rt 394 To Hadley Bay Rd, Left On Ross At The Lake.